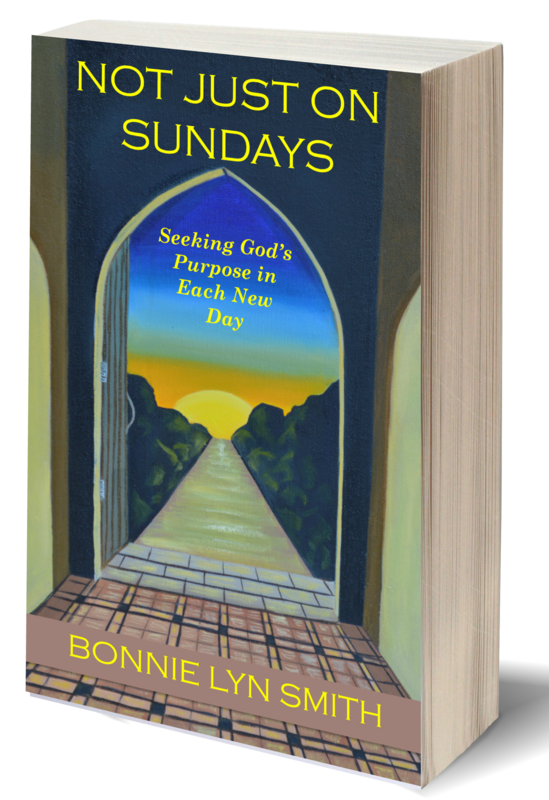 With Not Just on Sundays: Seeking God’s Purpose in Each New Day just weeks from publication, I thought it might be fun to post an excerpt, especially because I am once again in a season of “pruning” in my life. This summer our family let go of some things; some were big, and some were small. It’s not always easy to do that. It can be very painful. But we also opened our hands to new things, and we learn every time that God never leaves us in void. He may not always replace the exact thing we let go of, but He always gives us direction, even if it’s a completely new one. Sometimes someone has to pry what we won’t let go of out of our hands because we are clenching tightly, but once we relax an open palm, prayerfully, He fills us again. We don’t have to be empty-handed. We just have to be willing to let Him hand us what He chooses to give. I feel He does this whole pruning thing in my life quite regularly before each next big step. Like a mom cleaning last year’s clothes and shoes out of the closets, God gets us ready for what is next. I need to get better at remembering that He does this, and it always turns out for the better when my hands relax and stop clenching. 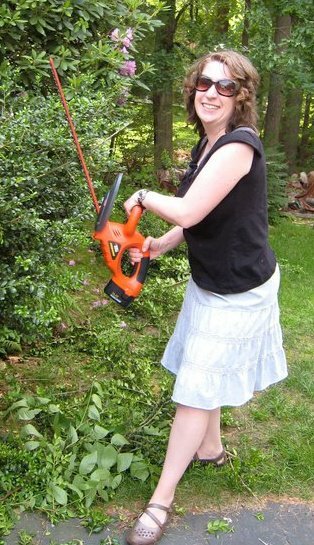 So, here I am now, in this moment, and here I was during a different season of pruning, a while ago. What follows is a little piece of my upcoming book, Not Just on Sundays. Whether or not you are a Christian believer, I think we can all understand Jesus’s gardening analogy and draw incredible wisdom from it. “I am the true vine, and my Father is the gardener. He cuts off every branch in me that bears no fruit, while every branch that does bear fruit he prunes so that it will be even more fruitful. You are already clean because of the word I have spoken to you. Remain in me, and I will remain in you. No branch can bear fruit by itself; it must remain in the vine. Neither can you bear fruit unless you remain in me. We may have all the right intentions or even accreditations in the world in wanting to help people, fix a situation, or “do good,” but, for the believer in Christ, bearing real biblical fruit comes only in trusting in Christ, remaining in the Vine. And with that comes an entirely different side: a willingness to be pruned. As the verse suggests, we are pruned to be even more fruitful. But it doesn’t say that part is pleasant or fun. I’ve read it several times looking for that, and it simply isn’t there. At times, the signs are all there for quite a while, but when we finally allow ourselves to see a disappointing situation in its fullness, one that we had tried so hard to make better, it can be almost crushing. But the best part of it is that on the flip side, there was so much hope, so much love (within us), that kept us going in the first place, that we can look back and say: “I honestly gave that my all. I gave it the best of me, always hoping and praying for the best.” We don’t have to stop hoping and praying for the best, but we absolutely need to check now and again if our hope is in Christ or in ourselves. That’s the difference between being connected to the Vine and being a branch dying on the ground, completely cut off from its life source. More frequently than I care to share, I feel the dead fruit being pulled off the branches for me. And it hurts—a lot. Sometimes it costs me a relationship or something I enjoy. But whenever that happens, I know a lighter, more productive time is ahead. It’s a guarantee. After all, mourning dead fruit in my life is a pointless exercise, even though I fall into the trap of wanting to cuddle it for a while before letting it drop off. Dead fruit is not life-giving when it’s hanging dead on your own tree. If you think about it, it’s only dead because it didn’t remain in the Vine. It didn’t get nourished by the Gardener. It’s not as if He were passive about it. He actually cut it off. I don’t always like that, but I can trust it. When the dead fruit falls off, suddenly the branches bear more fruit and grow to welcome other birds—other life—to perch there. Do we want dead fruit, or more room for new life to perch there? The Gardener knows exactly what He is doing, and it’s a beautiful, loving example of both healthy boundaries and incredible growth.